Hi Eric, I have just visited your website and must congratulate Roshan and yourself on an excellent achievement. 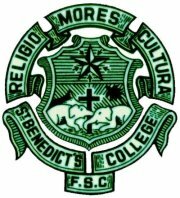 The website is pretty simple and intuitive, plus it contains a wealth of information on our Lasallian origins. Well done mate ! Hi Eric, I had no idea that you had such a fabulous website dedicated to your branch. I was really impressed with its presentation and would like to congratulate you and Roshan Irugalbandara for this wonderful creation. I spent just a few minutes going through the pages. That is nothing compared to the hard work done by Roshan & you! My heartiest congratulations on the occasion of launching the new website for Old Bens. It is no surprise for me knowing you for several decades of dedicated work you have completed on behalf of the Benedictine’s. Well Done Eric, thanks to Your Leadership!